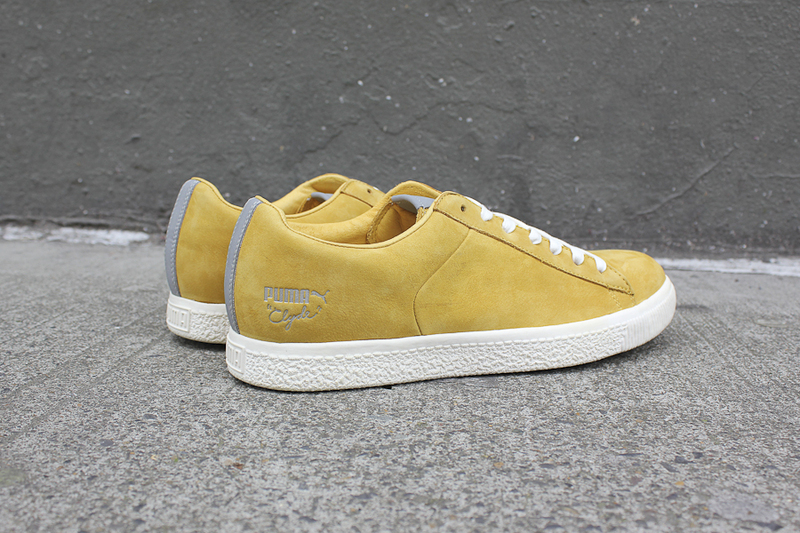 PUMA and Undefeated recently released another capsule collection based on the "Stripe Off" Clyde model, this time using premium nubuck in three colorways. 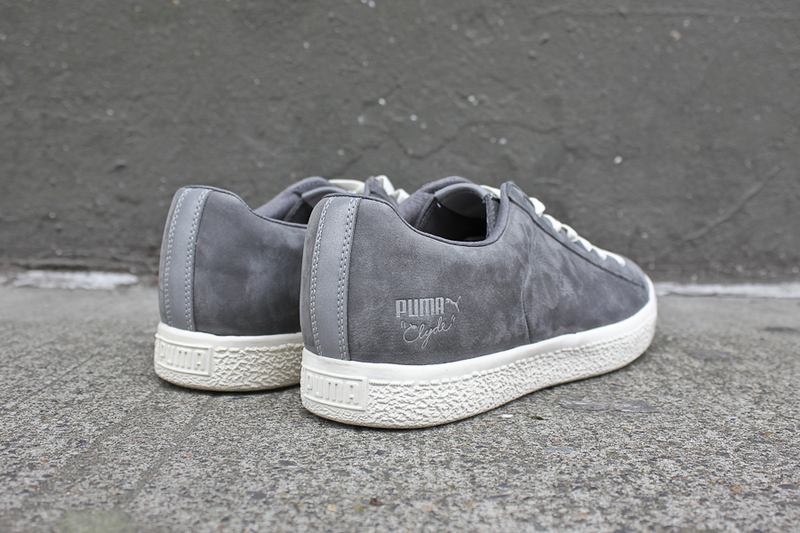 PUMA and Undefeated recently released another capsule collection based on the PUMA "Stripe Off" Clyde model, this time using premium nubuck in three colorways. 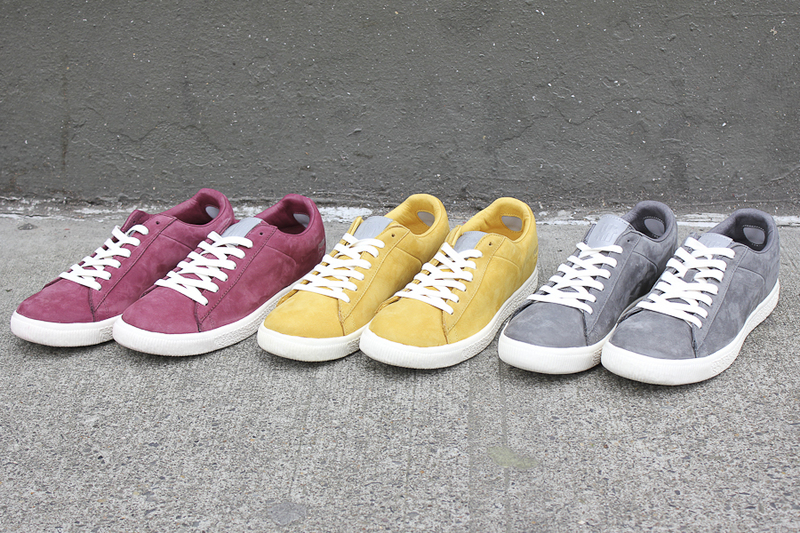 Colorways include Steel Grey, Tawny Olive and Team Burgundy, all using a Whisper White midsole. 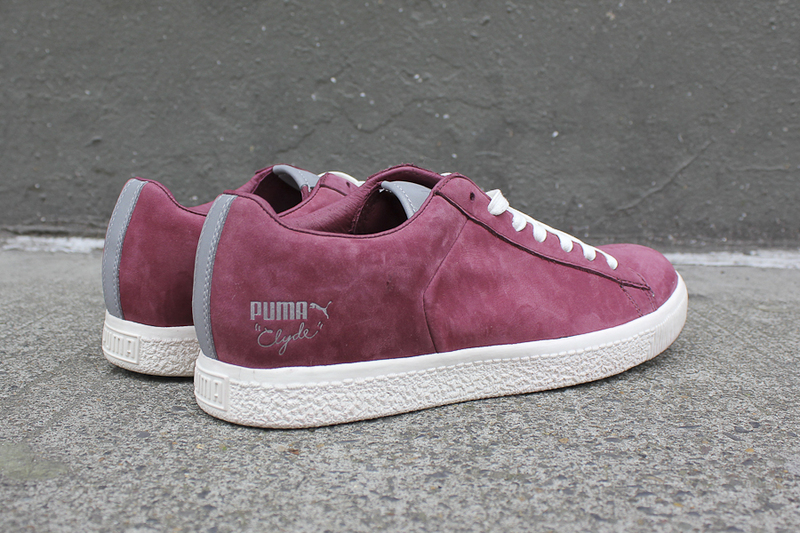 Additionally, each shoe features reflective details on the heel and tongue. The new PUMA x Undefeated Nubuck Stripe Off Pack is available now at select retailers, including online at Compound.